I love Suvir Saran’s cookbooks. 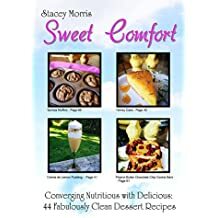 All three are filled with imaginative recipes, which blend the exotic traditions from his native India with familiar traditions of American comfort food. The result are dips, casseroles, entrees, and soups that are elevated to new levels thanks to the inclusion of fresh herbs and spices. And a few ingredients I might otherwise overlook. 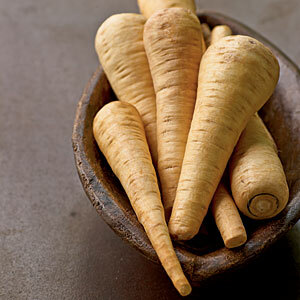 Take the ordinary parsnip, for example. It looks like an oversized, white carrot. Not the most exciting thing at first glance. But boiled, mashed, or diced and it’s a viable substitute for the carb-filled potato, and it offers plenty of nutrients and fiber in the bargain. This Parsnip Lentil Soup is inspired by Suvir Saran and the Smokey Bean Soup in his “American Masala” cookbook. It is comforting, nutritious, inexpensive, and I guarantee, you will feel LOVED after eating a bowl. Suvir’s original recipe called for white beans. I had none in the cupboard but I did have a bag of pigeon peas and they worked perfectly. And in true peasant fashion, I spontaneously threw in some leftover Buffalo Sauce instead of adding olive oil. There was about a third-cup on the stove, leftover from Chef Bill’s delicious Buffalo Shrimp recipe from “Clean Comfort.” It complemented the soup like a charm, the butter adding richness and the hot sauce giving it just the right kick. Soak the beans in purified water overnight. Pour beans (and water) into a large stockpot and add more water so they are covered with at least 2 inches of water. Simmer on medium heat for an hour. Pull a bean and do a tooth check. If it’s still hard, cook another 30-60 minutes. While beans are cooking, peel parsnips and cut into large chunks. Heat stock in a medium saucepan and simmer pieces of parsnip for 15-20 minutes, or until soft. Remove parsnips from stock and dice. Reserve stock to be added to the beans later. Blend the spices well and then add the reserved beef stock. Turn heat back on low and heat thoroughly, stirring occasionally. When ready to serve, stir in fresh parsley. If you have lots of excess parsley, save for salads or juicing. Gloriously delicious and nutritious parsnips. Better than potatoes in so many ways!